If your brand isn’t using Instagram Stories yet, it’s time to start thinking about how you could be taking advantage of this incredibly popular content format. According to Instagram’s latest numbers, its Stories platform boasts 400 million daily users. Not only is it growing in popularity (up from 250 million a year ago), the 24-hour lifespan of a story makes it a perfect tool for brands to put out content more frequently than a permanent post to their profile. But many brands aren’t quite sure how Stories fit into their social strategy — making, “how can my brand use Instagram Stories,” an all too common question. And that’s just the beginning. 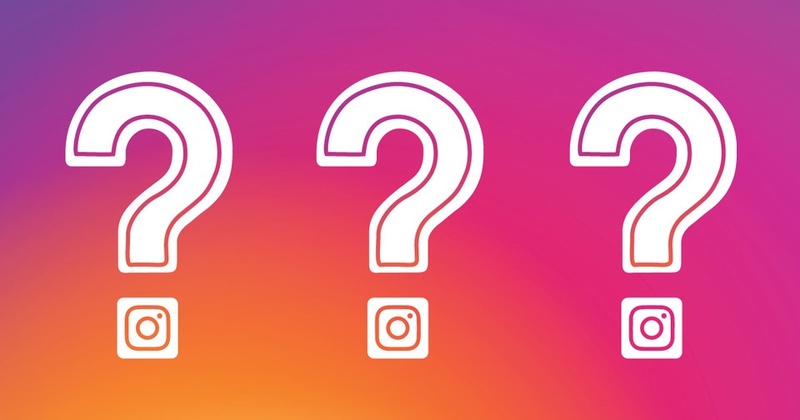 Whether you’re new to Instagram Stories or have been using the platform despite not really understanding how to maximize its capabilities, consider us the in-the-know source for all your FAQs. Why should brands use Stories? The first thing you should realize is that there’s much more to Stories than just posting a photo with text. Instagram is constantly updating Stories and growing its library of tools and features to allow brands and users alike to create more creative, engaging, and interactive content. Use your followers as a focus group. Two recent additions to the Instagram Stories arsenal — polls and sliders — are a great way to ask your audience to share their opinions. In this era of social media, consumers are more than willing to tell brands and companies what they like and don’t like. Use polls and sliders to ask what your audience wants to see from you next or to quickly gauge sentiment around a new product or service. And with the introduction of a new questions feature, brands can now ask more complex questions and get more specific responses. 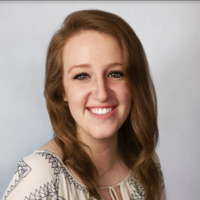 Realtor.com did a little of each in a recent series of questions for its followers. Brands like Lowe’s, who created a story that allowed viewers to interact with a DIY project, and Burger King, who allowed its fans to order custom burgers through their story, have paved the way for companies to take the next creative step with Stories. Even though the content won’t last forever — unless you add it to a Highlight (more on this below) — doesn’t mean the impression it leaves has to be as short-lived. An important part of marketing is discovering creative and unique ways to share and repurpose content, and Instagram Stories should be included in your list of tactics. IG’s new Swipe Up feature allows users to view an outside URL while staying inside the app — making the journey from click to content hassle-free. Cisco pairs a link share with interactive quizzes to not only engage its audience but also give fans direct, easy access to its site. Using Stories as an additional traffic driver makes the platform a potentially huge value-add for your content. Unfortunately, if your account has less than 10,000 followers, you can’t access this link feature, but you’re not out of options. Include the phrase “Link in bio” in your copy, and update the link to match whatever content you’re promoting. Once the 24 hours are up, all your hard work creating a story doesn’t have to go to waste. Instagram archives your expired stories within the app, which you can later use to create Highlights on your profile that can give your temporary stories a permanent home. Use Highlights to tell stories about topics related to your brand, spotlight products, go behind the scenes of your brand, or whatever else you’d like to show off. And don’t be afraid to mix and match content from different stories, just make sure each highlight has a common theme. Daily Harvest does an excellent job of categorizing highlights that continue to drive engagement. 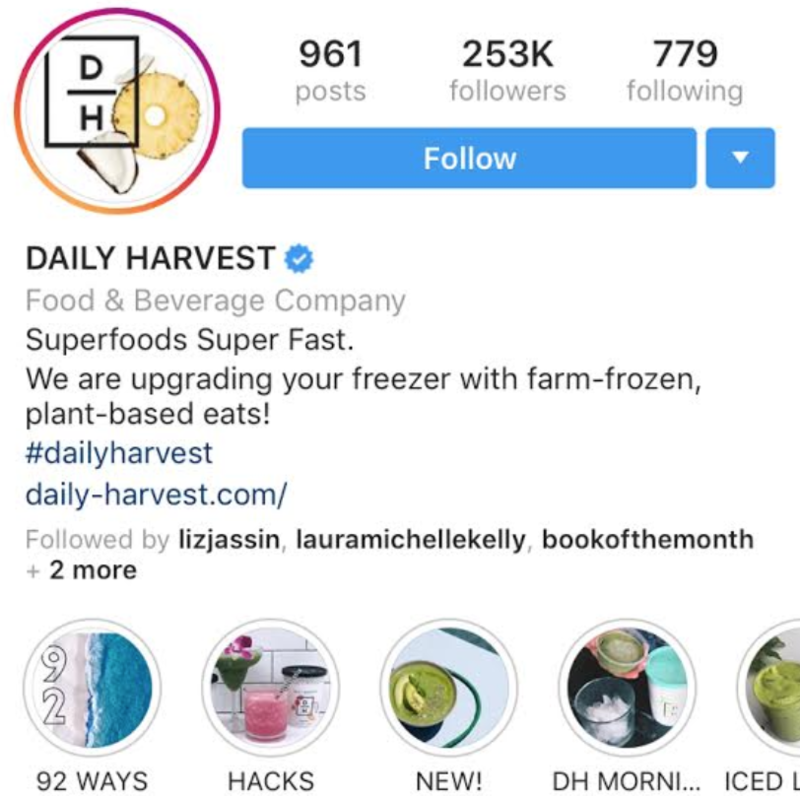 By collecting their stories in a series of Highlights, like Hacks, Daily Harvest is able to create an entirely new experience for followers who may have missed it the first time around and a resource for those who want to revisit an old (but still useful) trick. Another great example is NASA’s Moon Tour highlight, which features interactive, engaging, and educational content about, you guessed it, the moon. When a user taps through stories, they should be able to tell what content is yours without having to see your username. Various tools, including the color picker that allows you to perfectly match colors in your photos and font options that add artistic flair, make it easy for these temporary stories to match your brand. The Stories format creates even more FAQs about brand guidelines that you should consider. For example, what fonts will you use? Where will you place hashtags? For consistent branding in your stories, make certain your team knows the answers to all these questions. Do I need to build my Stories content in the Instagram app? Despite Instagram improving its design capabilities in the app, content creators can still find it limiting. Creating graphics, GIFs, or whatever your heart desires outside of the app gives you the freedom to take advantage of higher quality design tools and other creative opportunities. Bonus Tip: Instagram now allows you to upload up to 10 photos or videos at once, so those builds you worked so hard to develop outside the app can be shared quickly and easily. Plus, if you follow our recommendation to stick to brand guidelines, creating content outside of Instagram will allow you to use the exact fonts, colors, and elements that adhere to your brand’s identity. Users flock to Instagram for the creativity it allows and encourages, so consider this your time to get your brand’s creative juices flowing.